Sometimes we face persecution for our faith and person from unexpected, even Christian, corners. In the end, the iconoclast does not value human beings as made in the image of God nor do they honor the call of God to be conformed into the image of Christ. Functionally, they may be bullies at work, abusive individuals at home or church, oppressive systems or to a lesser extent, merely cogs or a group identity that has taken on a life of its own transcending any individual identity. Sometimes we are in positions where we can see another person being harmed by another and lend a helping hand, or at a place where we are slighted and can merely forgive and move forward. But what happens when your attempts to move forward are solidly blocked and you slowly realize you are caught in a nightmare, the other end of a targeted campaign of destruction? Maybe the person trapped is not you but someone else and you know that if you step in the person may come after you or you may have to face some other risk material or social. This latter can admittedly be more grey than clear, but here I will be dwelling on taking up that cross of risk. As Christians we worship a crucified savior, the image of the invisible God, raised on the third day by the power of God. Jesus came and fulfilled our vocational calling to love God and others as representatives of God on earth. While on earth, Jesus associated with those the world deemed lowly but God saw infinite value in (a pattern with God throughout the Bible), he resisted the devil’s call in the wilderness to bend the knee, he called out hypocrisy and died on a cross all the while asking us to do the same. The Jewish leaders wanted to destroy him and all he stood for as a challenge to their power and the Roman empire appropriated his death to make a sick mockery of a defeated people (“King of the Jews”). And yet, the cross is a symbol of the victory and power of God over sin and death that radically reoriented human history. Any attempts the iconoclast made to mar the image of God was subverted and their power inverted. What does the above mean for us? It means, first, at the core of who we are as believers, the good news of Christ’s victory burns in our hearts and we cannot help but see in ourselves and others infinite value and worth as agents of God’s kingdom. This is key in that the iconoclast seeks to destroy, devalue and reassign us a warped identity. In our person we refuse to believe the lies about our selves or the one targeted. And out of this, when the iconoclast destroys our reputation, livelihood, or bodies, we recognize the one we worship who walked this path ahead of us. We see our own suffering through the lens of the one we love and represent. (Surviving Psychological Warfare From Abusive People.) The iconoclast has inadvertently identified us with the God of power and themselves in antithesis. Second, we refuse to be truly destroyed recognizing that God’s future is for those formed in the image of Christ. The Work Place Bully Institute identifies adult targets as most likely to be highly altruistic, social and highly competent people. The iconoclast finds these qualities threatening and any attempts to stand up for oneself generally encourage escalation. They ultimately want you and others to see you in a new dark guise. At the end of the day though, those of us who are in Christ must see the true challenge as remaining ethical and living out our vocational call to love and serve God and others. Our bodies are sacrificed to God and so we resist patterns from the world encouraging us to join in evil behavior. According to Romans 12:1-2, this is our rational (λογικὴν) outworking of who we are as worshippers striving towards the fully realized will of God (τέλειον). We protect ourselves yes, but we do not take revenge or resort in kind even if it means we “lose” from a worldly standpoint. And then we also have the gall to do good whenever we can, even to the iconoclast attempting to overcome evil with good. (Romans 12:12.) We are only truly defeated when we let evil overtake us. Ultimately, we live as people of the day in a world of night (Romans 13:11-14) and get ready to fight the night with weapons of light. Lastly for our purposes, we are not passive or content to let sin continue whether in the name of “letting go,” “moving forward” or even a false “forgiveness.” (Resisting Evil: Pt. 1 “Forgiveness” Versus Stepping Out in Faith.) We are called to expose darkness. (Ephesians 5:11-14.) That is, we are called to shine a spotlight on evil. True evil thrives in shadows and distortions behind the scenes and does not want to be confronted or called out. Resist the iconoclast by doing the same! 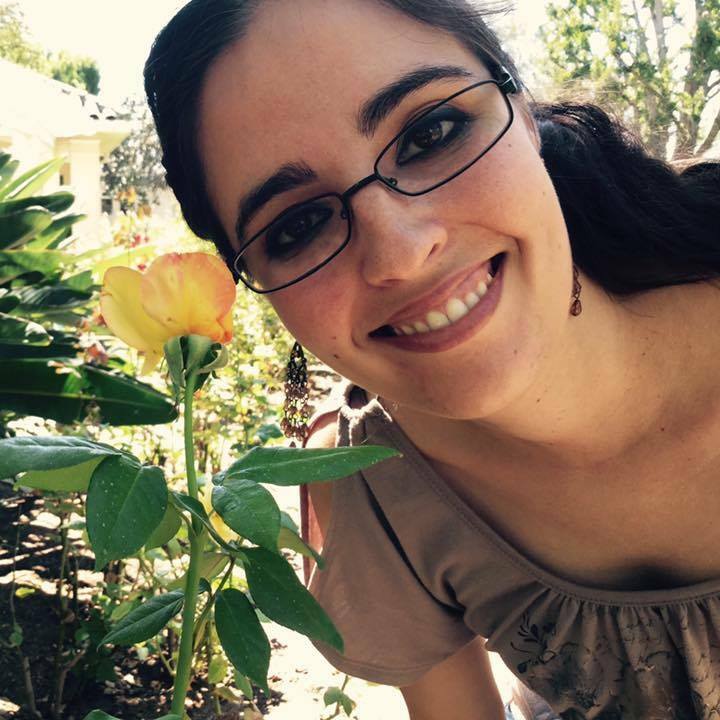 Allison M. Quient is a Ph.D student in Systematic Theology & New Testament. She is a graduate of Trinity Evangelical Divinity School (AP Research M.Div) and Biola University (BA: Biblical and Theological Studies). Her interests include hermeneutics and exegesis, gender theology, the formation of the biblical canon, apologetics and politics. You can follow her on her blog Split/Frame of Reference, Facebook and Twitter. This entry was posted in Uncategorized and tagged Allison Quient, Iconoclast, Immanuel, incarnation, Jesus, the image of God. Bookmark the permalink. This sentence stood out to me. I’ve witnessed this iconoclastic (would that be the word?) technique used in various settings ranging from church to a public school system to families. The church leaders (one in particular) wanted to (and did) discipline others for disagreeing with them; they truly seemed to see these people as subordinates to their superior position. (I’ll also add that the other side didn’t behave well, either. Fortunately, the denomination stepped in, and while the church still split and the aftermath was horrible, the situation didn’t drag on and on and on for years. ) A public school superintendent viewed those who disagreed with his methods as “whiners” who’d find something to complain about no matter what. (Which wasn’t true!) Families where one member dominates all the others will tend to run into these problems, too. While none of the people in the iconoclast position would outright say that the others are evil, they still were not treating the others as equals or as valuable people made in the image of God. It’s hard to watch, wondering how to intervene. It’s hard to experience, wondering how to fight back with the weapons of light. And it’s hard when I wonder if perhaps I’m the bully, the person in the superior position who might be taking advantage of that, or that perhaps I’m fighting the bully with his own techniques: using evil to fight evil. I know I’ve crossed that line. But the answer for all these wonderings is Jesus. Thanks for such a thoughtful post, Allison.